In last 2 images which were put up in the last blog publications, including the 1 pm and the image of 6.30 pm IST just put up, there is no "eye" indication. The "dent" that I have mentioned in the last write up at 1 pm was also to just indicate the centre of the system since many were puzzled as to the locations regularly given. Plus, an eye needs a solid swirl around it, and a swirl needs a core pressure of at least 988/990 mb. So a system with a core pressure, actually its not even a core pressure, the pressure "around" the centre is hardly 1000 mb as per latest observations, fit enough to designate it as a depression at the most. 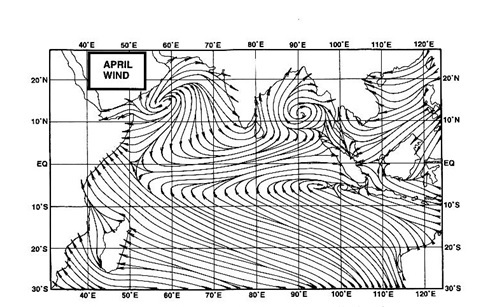 Again, last recorded winds are at 28-33 knts only, not befitting a cyclone. But, JTWC and NPMOC have made it TC 01 A. Not named it though. AS-1 at 19.7N and 71.9 E and seems quasi stationary. SE quadrant clouding has reduced in the last 6 hrs. 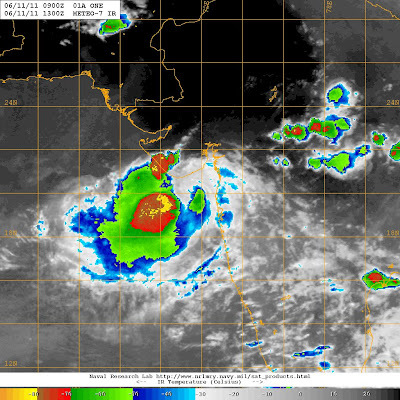 Will intensify initially now onwards, before weakening again. Another report and rainfall details at 10 pm. 98A does not exist any more on US Navy site.